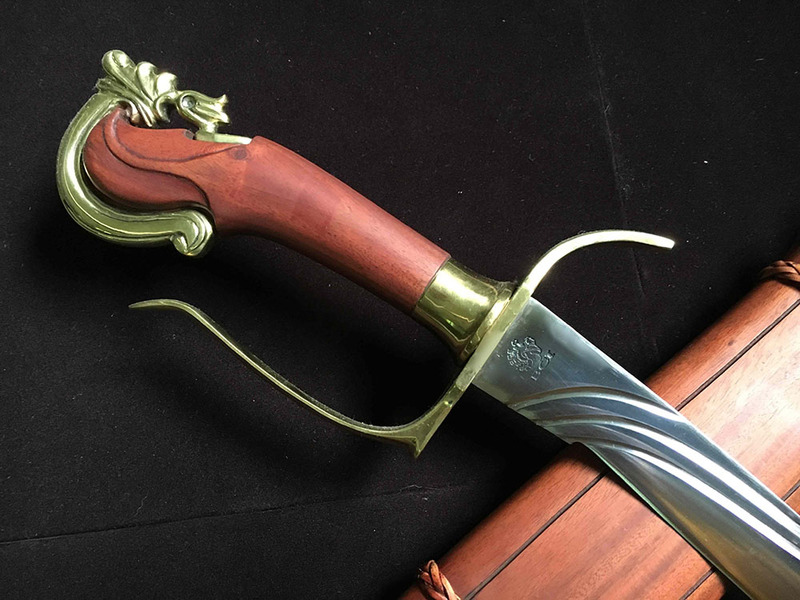 Sinmalayat is an old Pangasinan terminology for blade with curvature and belly near the tip. Its shape is inspired by the appearance of an edible flower called “katuray or katuday”. 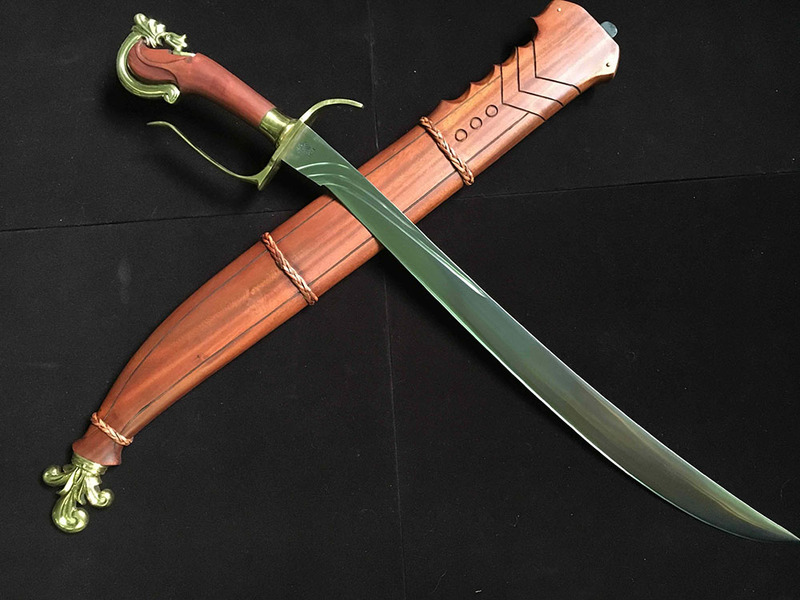 The Sinmalayat is similar to the Japanese Naginata which is very effective for both close and largo combat, the distinct shape and curvature serves its back for blocking and quick submission of technique for cut and thrust . The ornament of the pommel is floral inspired, a common feature of Philippine design representing Sampaguita flower. 5160 Spring Steel Sharpened Blade. Mahogany Wood Handle and Scabbard. Brass Fittings. Premium Quality Construction.